My second day in Penang was just as wonderful and eventful as the first. This city just feels so alive 100% of the time and people are constantly on the move. It is full of traffic jams and crazy driving, much like in Thailand, but the narrow streets and no real sense of urgency (a sense that I have discovered is all over Thailand) give it a smaller city vibe. 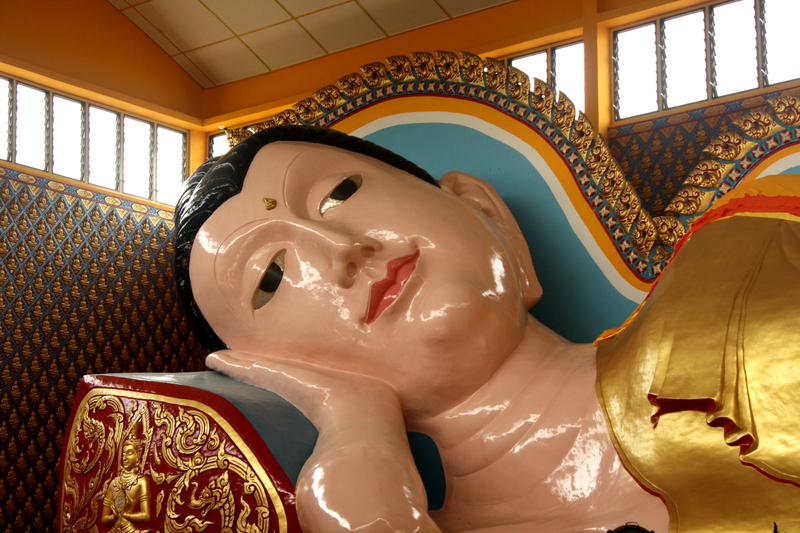 We started off with a visit to the Dharmikarama Burmese Temple. I have yet to see a Burmese temple so this was definitely interesting to me. 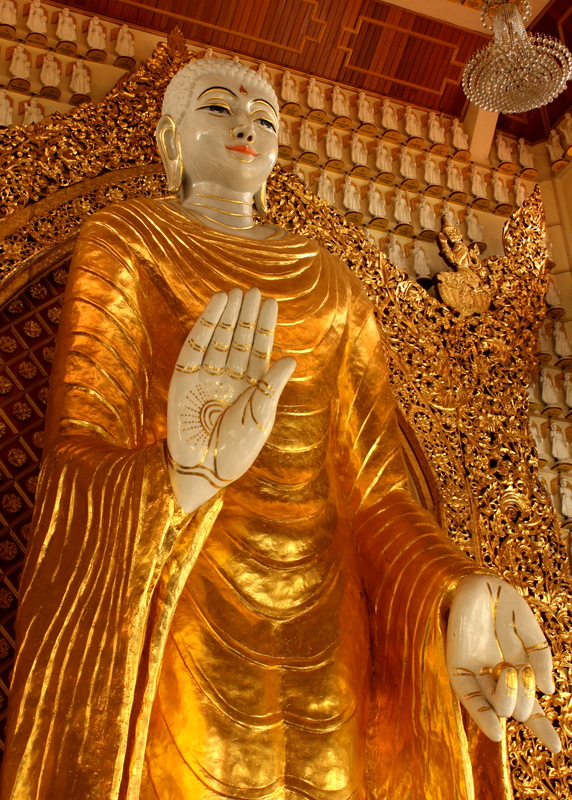 The Buddhas were slightly different than the traditional Thai Buddhas that I had seen in Bangkok and Lang Suan and there was a hall with Buddha statues from all over the world. Each country has a different way they like to place the hands (also known as a mudra) and it was interesting to see them all together in one room. We crossed the street over to the Thai Temple, Wat Chaiyamangkararam, home of the Sleeping Buddha. This statue was very different from the Sleeping Buddha at Wat Pho in Bangkok and in no way similar to any Buddha I had seen before. It was in color! The lips were red and it looked to be made out of porcelain rather than a harsh bronze. It looked pretty almost with its sly grin and dreamy eyes. The Buddha was also surrounded by monk memorials with the ashes of the monks actually inside the statues. Some of them had the pictures of the actual monks as well. We were walking around the temple and I was asking Sin Kok what certain statues meant and what they were for and we came across a grandfatherlike clock. I asked him what the symbolized and he looked at me and said, “Basically its for if anyone is curious about the time!” It was a definite had to be there moment, but hilarious at the same time. I was convinced that there was an old tradition or something having to do with a big clock, but no, instead of a clock on the wall, they chose the ornate version of our common time telling apparatus. We took a quick seaside drive down Gurney Drive, which is peppered with high end hotels, millionaire homes, and a large shopping mall. 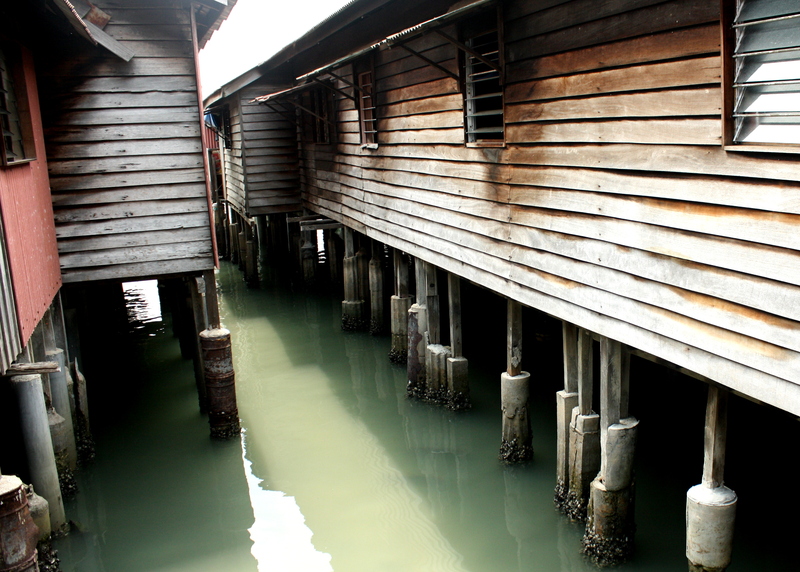 It was fun to look at a more posh side of Penang although I know I would never choose to stay there when visiting. I have loved staying in Air Hitam with Sin Kok and his father because it gives me a real sense of Penang life. I have been learning so much about the Malay culture and because Sin Kok is Chinese, he also gives me insights into the Chinese culture as well. He is constantly quizzing me on Malay phrases he has taught me, which I still stumble over, and he is eager to help me feel comfortable in a culture that is worlds apart from mine. We met up with another one of Sin Kok’s friends, Fiona, and after a delicious lunch in another hawker center (definitely my favorite place to eat, who needs restaurants when you can try a little bit of everything), we explored the Traditional Clan Jetties, where houses were built on stilts to save money on land prices and taxes (if a house was built in the water the owner was exempt from land tax). It was like another world around there. The community seemed extremely tight knit, probably because the houses were so close together. It was so interesting to look between the houses and see water and fish. What an incredible way to live! Some of the houses were actually pretty nice, while others were a little ragged, probably ones that hadn’t been remodeled for years. I liked the older ones better because they fit the setting perfectly. 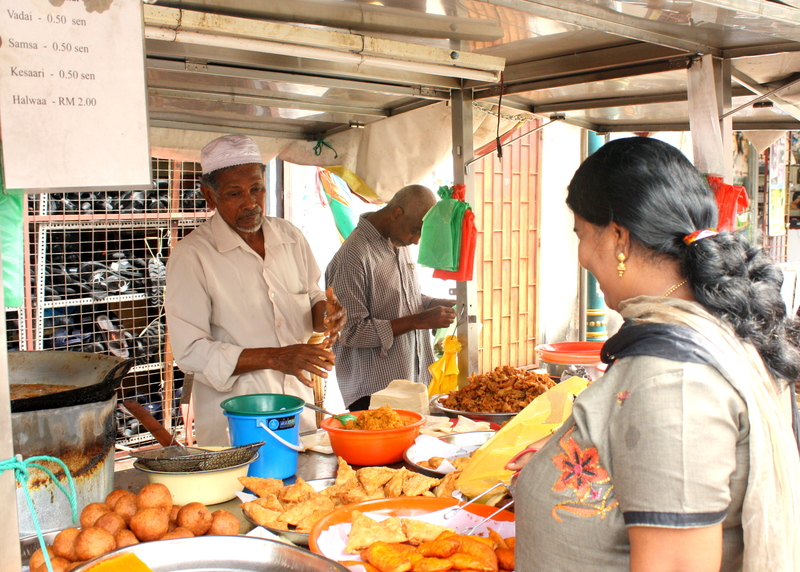 We then took a stroll through Little India, which is bustling with food carts, men hard at working making the flower adornments which are placed as an offering in a Hindu temple, dilapidated but extremely quaint buildings, and constant chatter and smiles. Like the rest of Georgetown, and really the entire island of Penang, Little India had an inundating feel of pure culture and life. 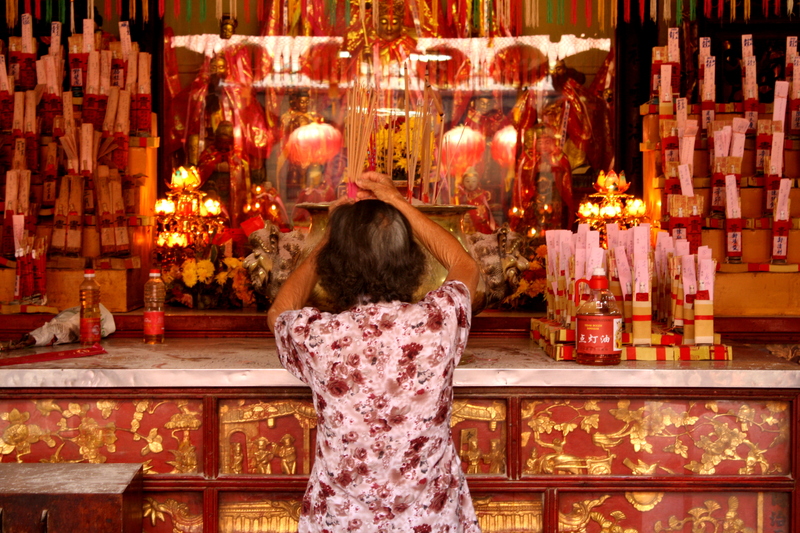 Next to Little India was the Kuan Yin Temple, the oldest temple in Penang. It was alive with people lighting incense and laying offerings in front of various statues. I loved the feeling of the old temple. The tradition seeped through its walls and I could see that it was an extremely popular place to pay respects, more so than the newer temples. I hope future renovations (I’m assuming its on some list of eventual renovations for the UNESCO site) don’t steal this temples uniqueness or erase its history. Nearby was the old Anglican Church, St. George Church. 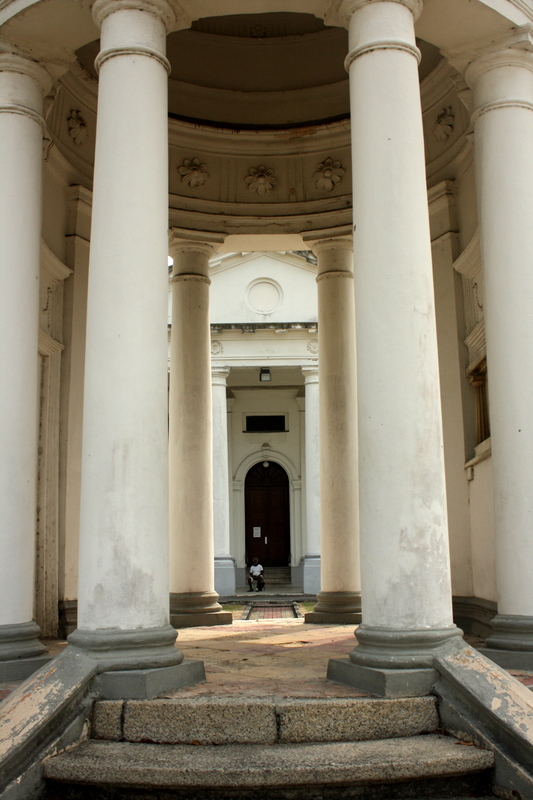 Malaysia was colonized by the British and their influence can be seen in most of the government buildings and throughout the city of Penang. The church was very traditional and I loved the fact that it was merely meters from a Buddhist temple around the corner, a Muslim Mosque down the street and a Hindu temple across the street. It just adds to the extreme diversity that defines Penang. 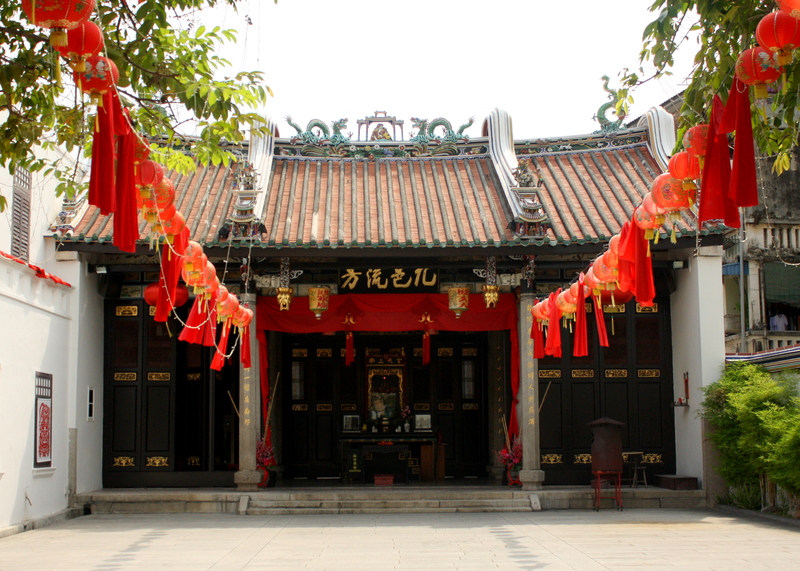 Our last stop before we took a rest was the Han Jiang Teochew Ancestral Temple, the recipient of the 2006 Award of Merit Unesco Asia-Pacific for Culture Heritage Conservation. It had finished renovations and there was an exhibit in each room showing the before and after pictures (I tended to like the before pictures, but the place was utterly beautiful). This temple wasn’t too crowded and was very peaceful. To round off the night we took another excursion up to the Kek Lok Si Temple because we had not made it up to the Goddess of Mercy Pavilion yet (if you don’t drive up, you have to take a little trolley and there was a huge line, so we decided to come another night). The pavilion was definitely the place to be. It was absolutely beautiful and crowds of people were hoarding around the statue to pay their respects. And this statue was huge. Straining my neck to get a good look at it, the lights surrounding the statue gave her a very heavenly feel and I was struck with awe at the beauty of the pavilion. Once again, I was lucky to have been able to visit Kek Lok Si during Chinese New Year, although I know it is still beautiful any other time of the year. 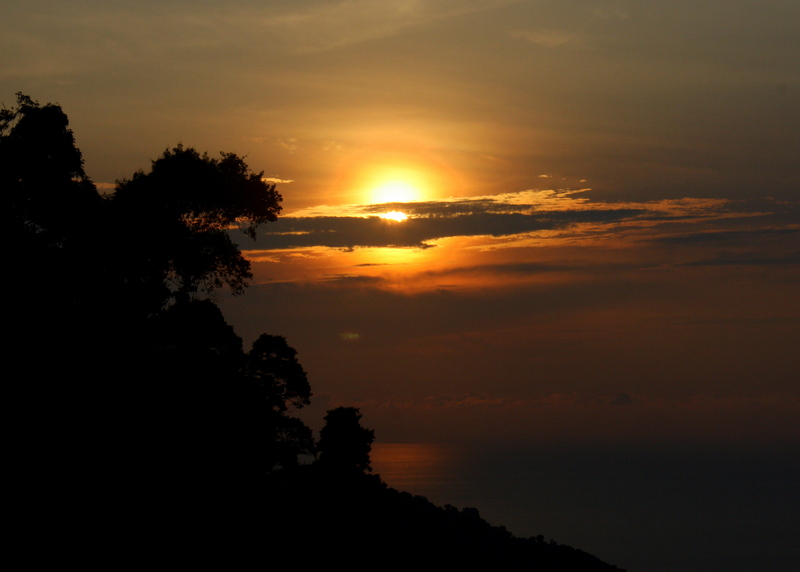 My third day in Penang was my day of rest. It was the last day of Chinese New Year and Sin Kok was having a potluck with all of his friends in celebration. We went shopping in the morning and I sat and chatted with him in the kitchen while he cooked his shark fin soup. I felt so welcomed by all of his friends and was extremely happy when a few of them took the time to sit down and talk to me (most of the time they were rattling away in Chinese, which of course is understandable, I know how I get when I’m around all my best friends). It was so amazing to feel the community that they had and witness a huge part of their culture. I have really learned to appreciate the Chinese culture a lot more after my stay with my new friends! Monday was my last day in Penang and I was truly sad to leave. I have had so much fun with Sin Kok and his friends and I have absolutely fallen in love with the island. It was more culture on one street corner than I have in my town in Lang Suan and has provided me with one of the best learning experiences I have had in Asia so far! We started off my last day with a trip to the transfer route in the Heritage Area , where the Muslim Indian population host the most famous place for Roti Canai in Penang. Eaten with a tomato paste sauce, I had one cooked with egg and a plain one and it definitely earned its title. I also had a pull tea, which was a type of milk tea, and it too was the best I had had in Penang, as well as in the rest of Southeast Asia. After stuffing our faces (I am convinced that being in Asia has made me fat, there is way too much good food and I never want to stop eating!) we headed to the Kapitan Keling Mosque. Located on the Street of Harmony, which is named because of all the different religious entities represented on the street, the Moorish architecture of the mosque is stunning. 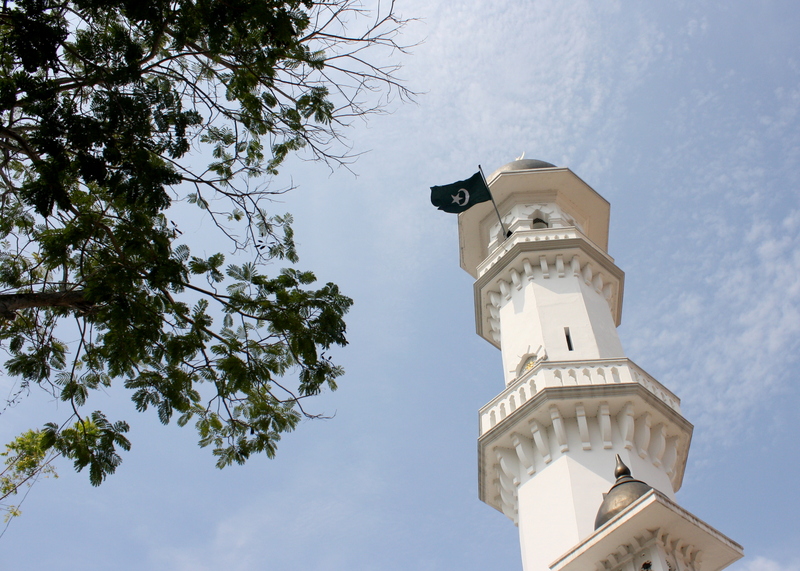 It is unlike any other mosque in the city and is definitely a place to explore. I had to don a headdress and costume to go in and although I was sweating profusely it was worth it. I had never been in a mosque before and I was truly lucky to be able to set foot in the Kapitan Keling Mosque. 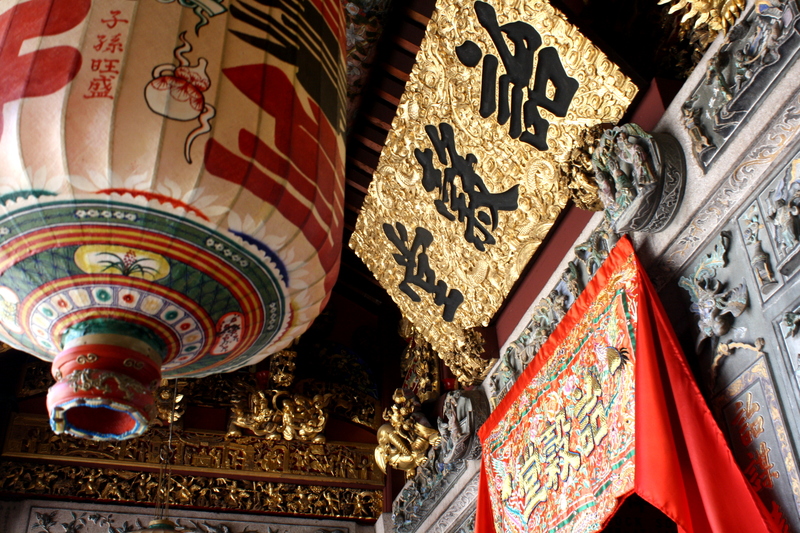 After stopping to get a ban chang kaoy, a Chinese pancake, (once again, another reason why I’m no longer skinny) we explored the Tuapek Kong, also known as the Grand Uncle Temple and then moved on to the famous Khoo Kongsi temple, or Clan temple, the heritage jewel of Penang. The afternoon sun was super harsh so it was difficult to get a good picture of the temple from the front, but take my word for it, it was gorgeous. 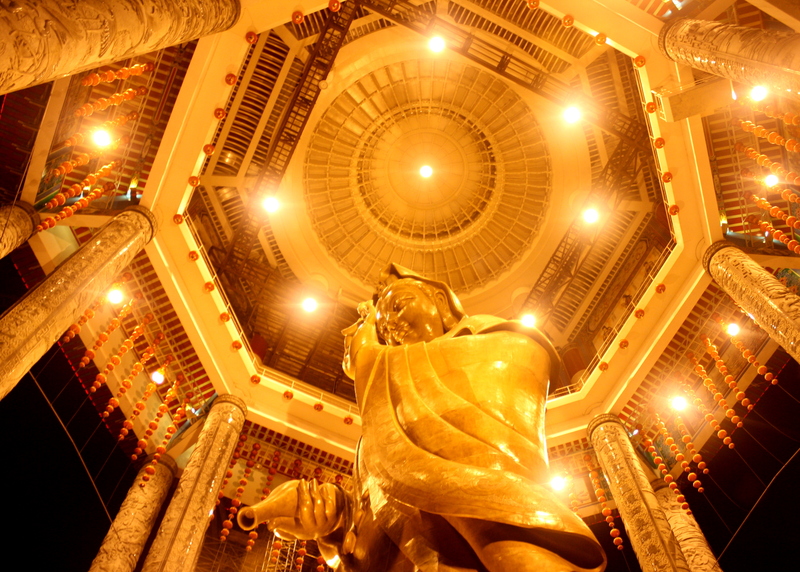 It is the largest clan temple in Penang and has a traditional theatre stage for events, a museum, and three beautiful rooms adorned with Khoo family relics and accolades. We took a quick stroll through the Protestant Cemetery, where Francis Light the establisher of the city of Penang is buried along with many of the prominent colonial Englishmen. After a quick stop and getting scared out of my mind by Sin Kok at the Snake Temple, Sin Kok suggested that we drive up to see the sunset. Everyone knows I never pass up a good sunset so I happily obliged. It was a long drive, but definitely not something I would never have seen as a normal tourist. We made it to the hilltop and looked over Balik Pulau and enjoyed the beauty while eating some Thai food (that is the restaurant at the top of the hill). I love just sitting and enjoying nature and the beauty of a country that I have only just discovered. Once again, its at these moments where I just can’t believe that I’m in Malaysia! Its just so beautiful, amazing and new to me. Penang was wonderful. I was extremely sad to leave but now I must move on to Kuala Lumpur! I wish I had more time to explore Malaysia because I can see that it has so much more to offer. Oh well, guess that gives me an excuse to come back!! Nice blog, thanks for sharing yours adventures with us….